Before you begin decorating for the holidays, think about the big picture, then narrow your focus to the details. Consider the type of look you want and where to place the decor. How big will the displays be? Is there a color scheme? 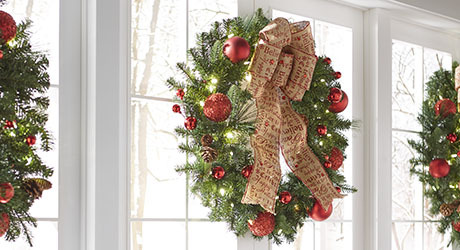 What types of wreaths do you need? How many different types of garland will you use? 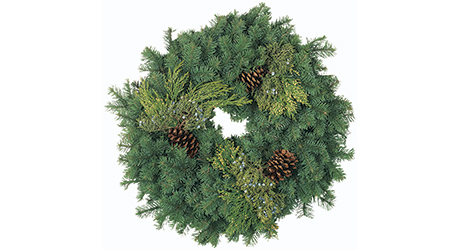 Do you want fresh-cut or artificial wreaths and garland? Taking the time to answer these questions now will help make sure you have the holiday wreath and garland displays that are best suited for your home. Special ties, clips and hooks will help you firmly attach your decorations to a variety of surfaces. Since artificial foliage can be used repeatedly, garland and wreath care should continue long after the initial purchase. It is important to store them properly.